I love, love, LOVE Thai food and this Slow Cooker Thai Coconut Soup from Happy Mothering sounds delicious AND easy to make! 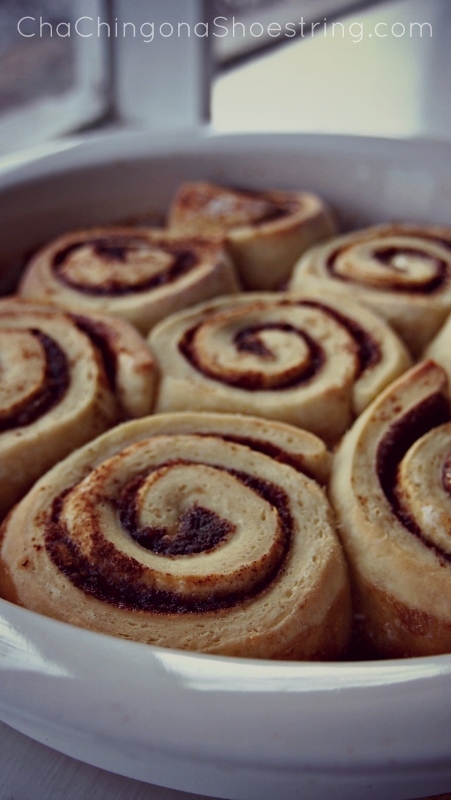 Next these No Fail Bread-maker Cinnamon Buns from Cha Ching on a Shoestring make me wish I had a bread maker! 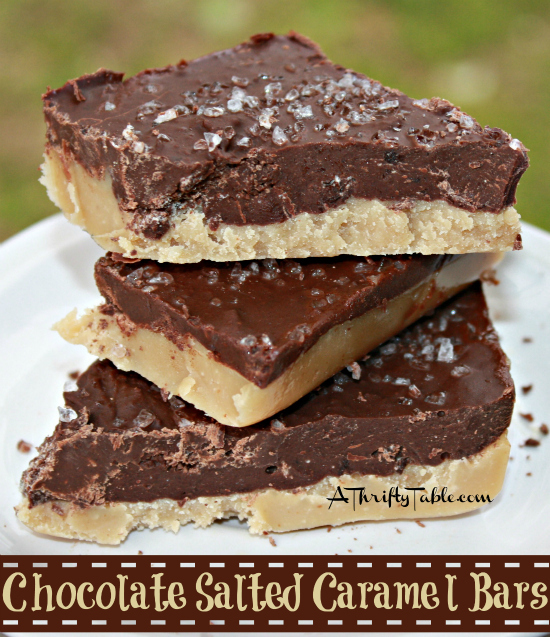 I can’t resist sweet and salty combinations, and these Chocolate Salted Carmel Bars from A Thrifty Table look absolutely amazing. 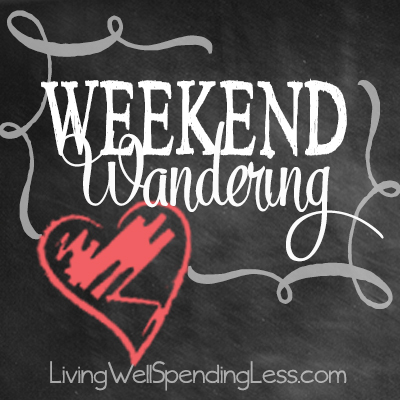 There were a ton of fun Easter ideas this week! 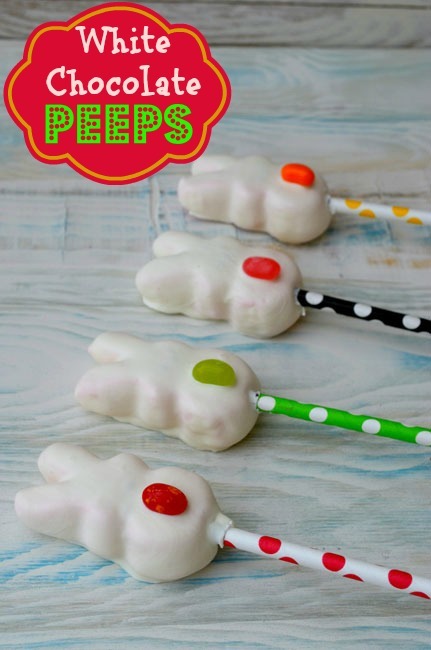 These White Chocolate Peeps from The Joy of Boys look so cute and simple to make. I might attempt them for my Sunday School class! These Peanut Butter Cream Eggs from Life With The Crust Cut Off are absolutely adorable! 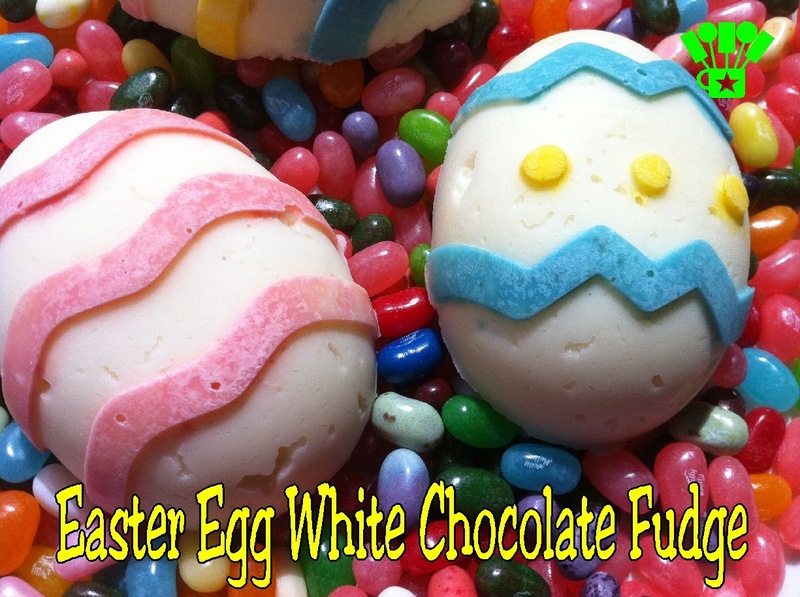 Kandy Kreations also has an egg inspired Easter Egg White Chocolate Fudge dessert. Yum! Looking for a place to stash all those Easter treats? 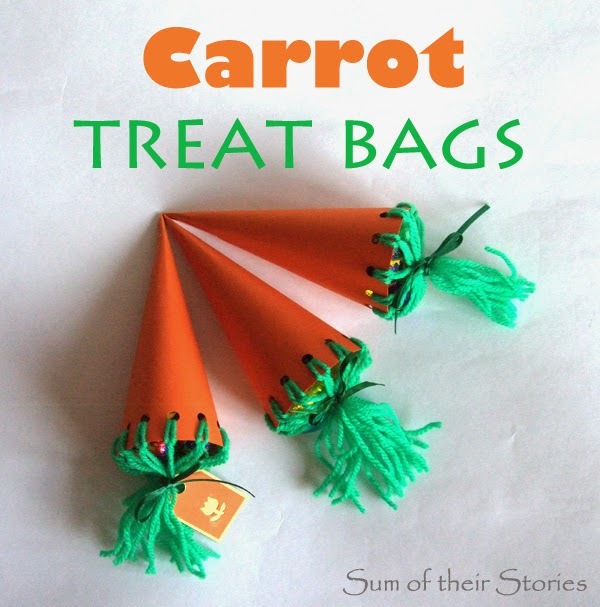 Sum of Their Stories has these adorable Carrot Treat Bags. So stinkin’ cute! 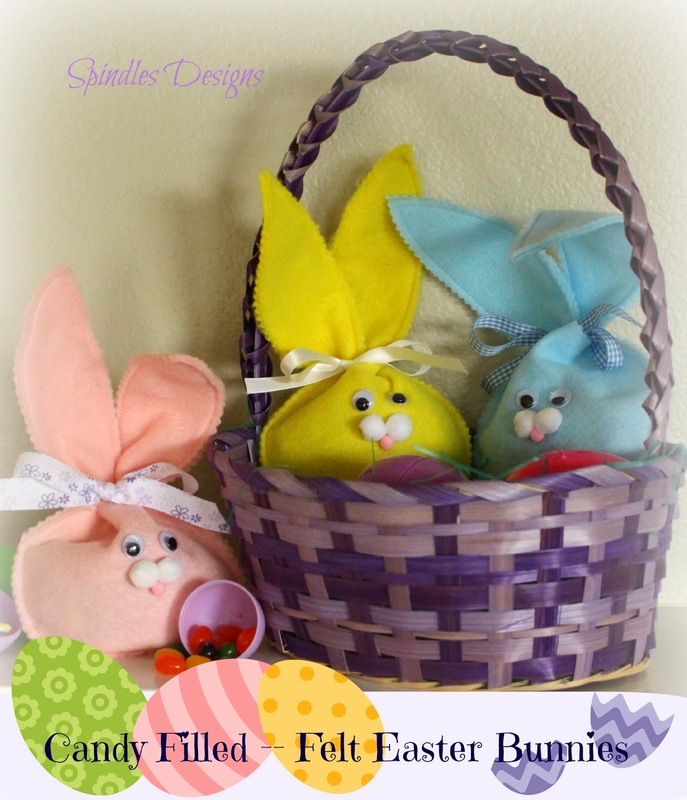 These Candy Filled Felt Easter Bunnies from Spindle Designs are another cute option for the Easter basket! 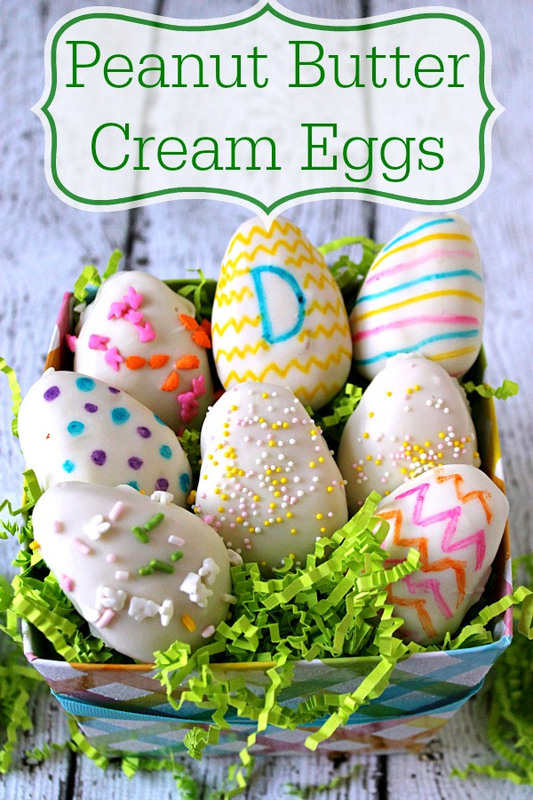 Looking for a new creative way to dye your Easter Eggs? 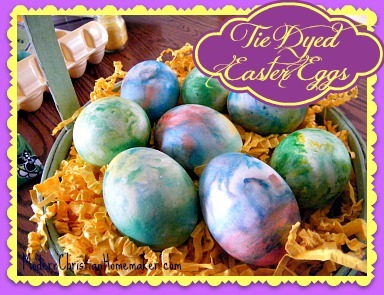 Modern Christian Homemaker has a step-by-step tutorial on how to make Tie Dyed Easter Eggs. The kids would totally love this hands on project! Need an alternative to candy for your child’s Easter basket? You might consider trying your hand at dollar bill origami. 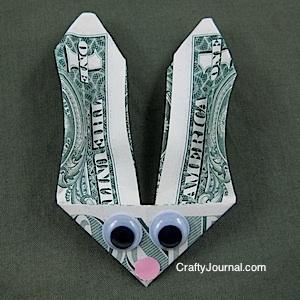 Crafty Journal provides 10 detailed steps along with pictures to make this oh so cute Bunny Money! Don’t let your Easter basket buys break the bank. 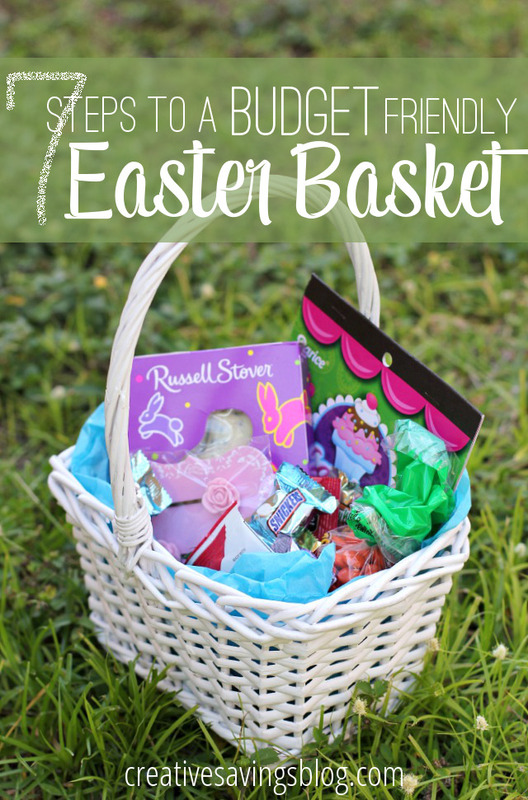 Creative Savings has 7 Step to a Budget Friendly Easter Basket! And finally, after all the Easter parties, egg hunts and candy consumed you might have some sugar high kids. 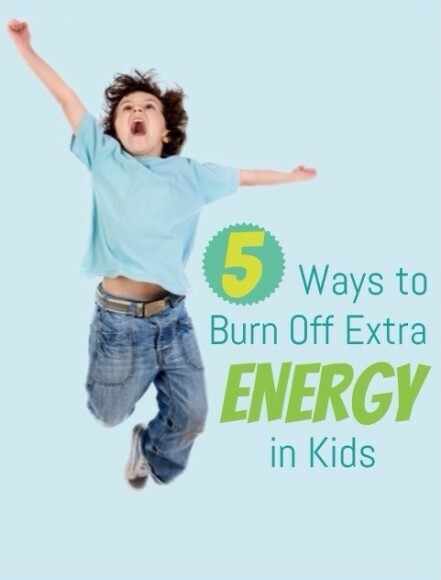 This Bird’s Day has Five Ways to Burn off Extra Energy in Kids. I might have to try number 3 with my girls! 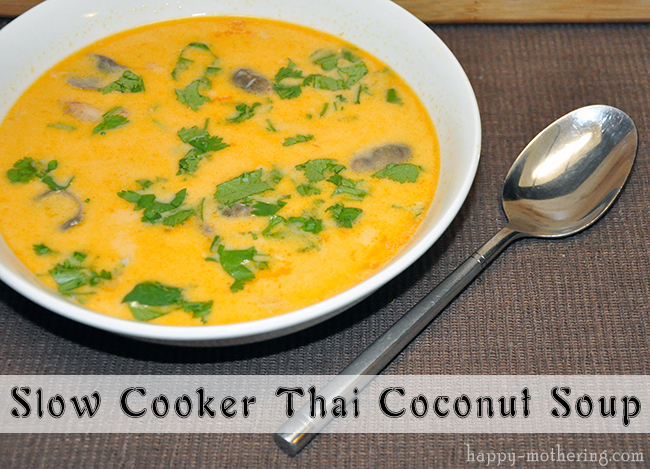 I LOVE thai coconut soup, I’ll definitely give that recipe a try! I LOVE FINANCIAL PEACE. 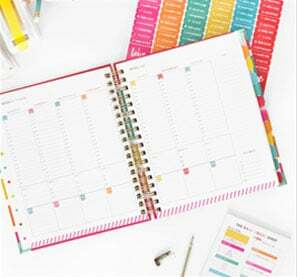 My husband and I took the class when we were dating and it changed everything we do. we were able to buy our first home at 20 and have paid off cars. 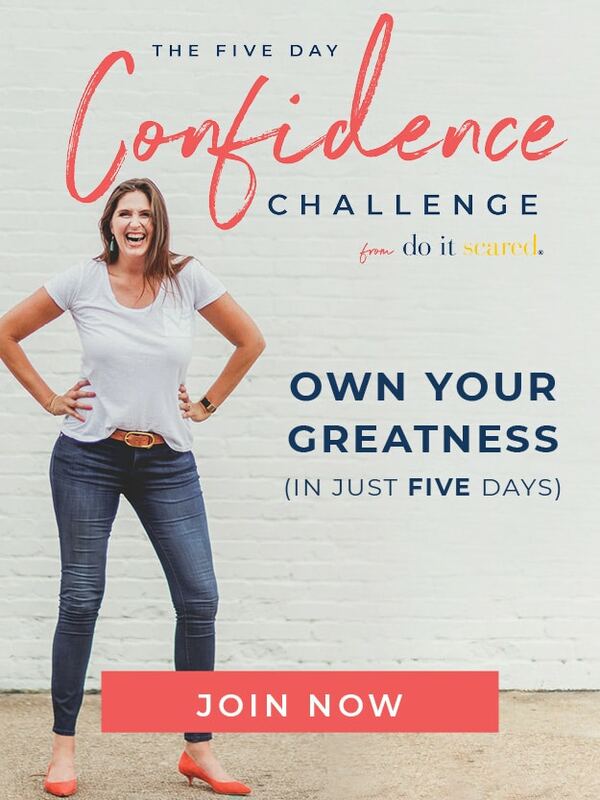 It’s great to know I’m learning how to spend less with someone who has the same financial guidelines as us! I love Dave Ramsey. I keep the audio from FPU in the car to remind myself where I was and what I’m working toward. We just got the Junior kit for our 8yo & I’m looking forward to the new book. Thanks for featuring my Chocolate Salted Caramel Bars! Thanks for sharing my Thai coconut soup recipe! I hope you enjoy it!